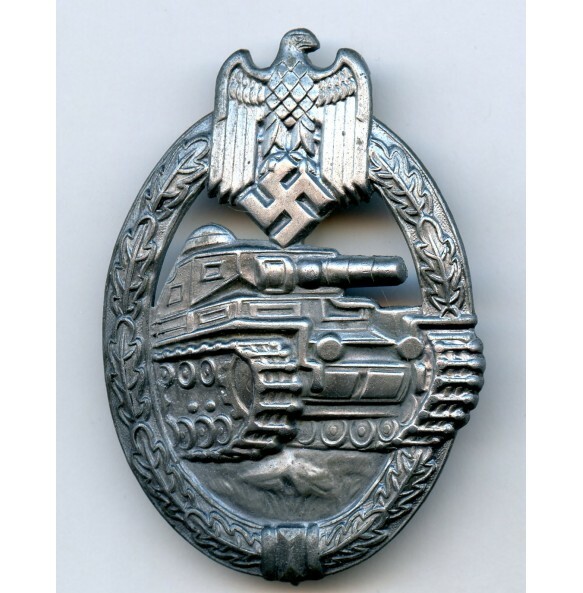 Panzer assault badge in silver by Otto Schickle, Pforzheim. Zink construction with soldered on set up. Late war variant presumably made by the Schickle company. 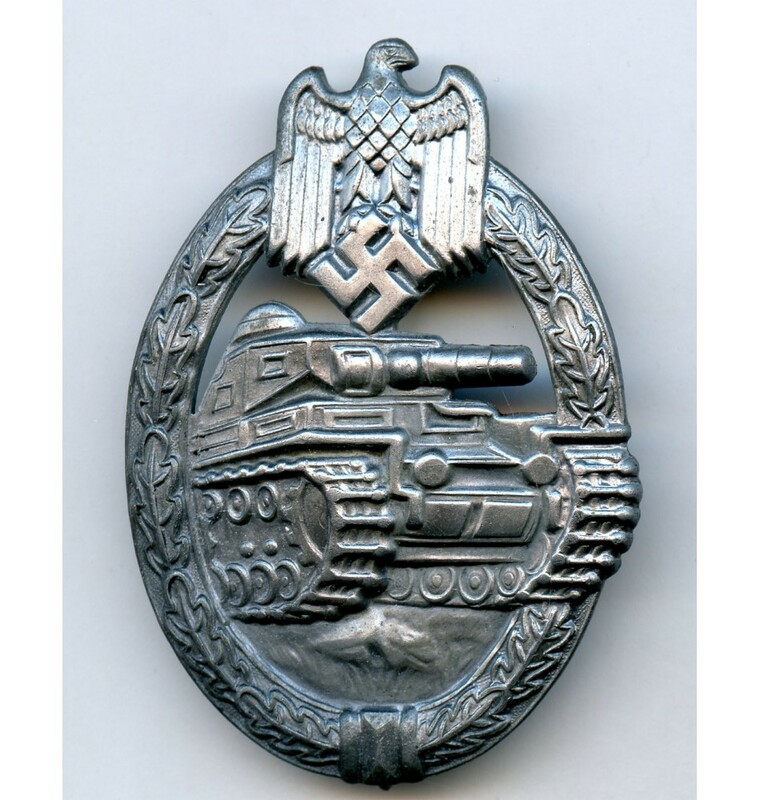 Mint, unissued condition with very light signs of age. No repairs, no damage. 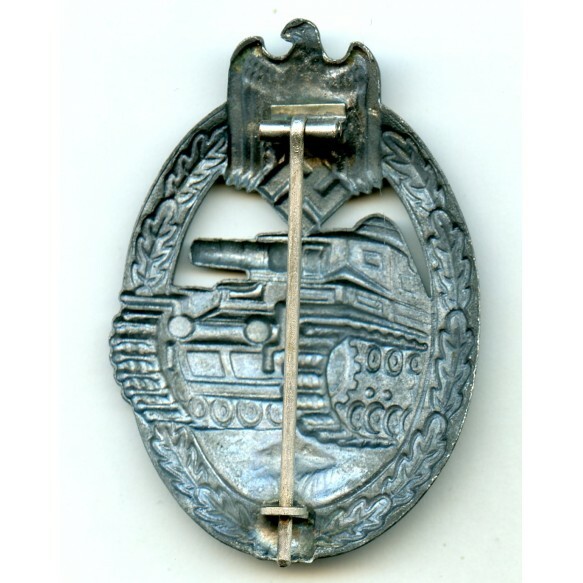 A beautiful late war quality panzer assault badge!